Heat a pot or clay pot over medium heat. Add the green onion and let cook for 2 minutes. Add the milk and salt. Reduce heat and add the eggs. Cook for 2 minutes or until the eggs are cooked. Add the diced bread over the changua and garnish with the chopped cilantro. To make this dish even more substantial, add potatoes or queso blanco (white cheese). 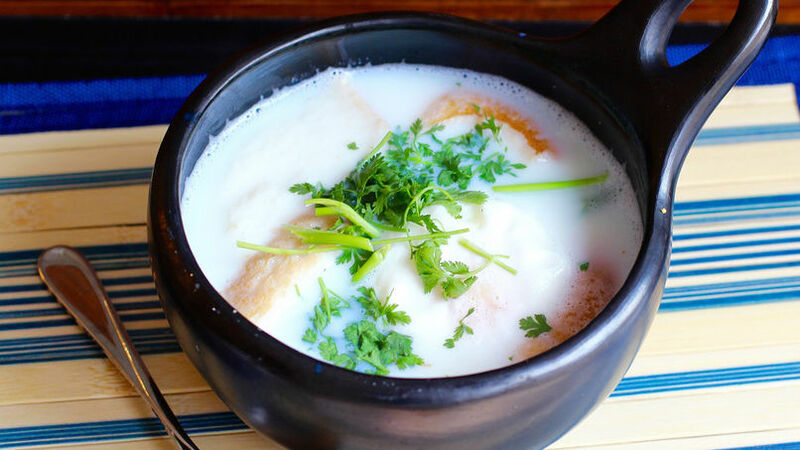 La changua is a classic soup from the Altiplano, Cundiboyacense region of Colombia. It couldn’t be an easier nor more delicious recipe to prepare. There are very few ingredients: egg, water, milk, green onion, coriander, bread, and sometimes, queso blanco and potatoes. La changua is often served for breakfast, but it also makes for a great light lunch alternative.